Crepes originally come from Brittany, but you can find them all over France. The only problem is that they are not all the same. If you want a quick snack as you walk around, a sidewalk crepe vendor is just fine. but if you want an authentic crepe, go to a creperie. Likely, a specialized restaurant will be run by a Breton (someone from Brittany) and will know what he or she is doing. 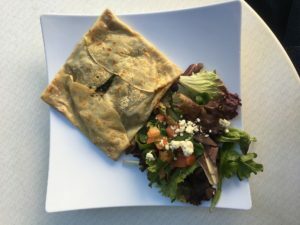 The Crepe will be crisp yet tender and have an assortment of savory and sweet choices. 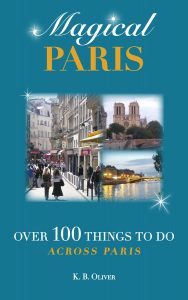 If you’re in Paris, go to the Montparnasse area and look for Rue de Montparnasse (not Boulevard de Montparnasse, which is right nearby), and rue Odessa. Access these most easily at the Edgard Quinet metro stop on the line 6. This is an upside-down caramelized apple pie that you just have to have. It was created in the Loire Valley by the Tatin sisters. Some say it was originally a mistake. The pie got turned over. At any rate, this pie is a national favorite. If you get the chance to eat some (even if apples are not highest on your list), you won’t regret it. You can usually get it with either vanilla ice cream or crème fraîche. 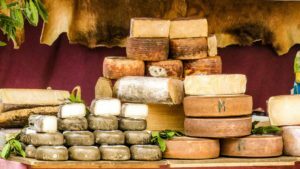 My recommendation is crème fraîche, but you could try both at different times and decide for yourself! This is a no-brainer. 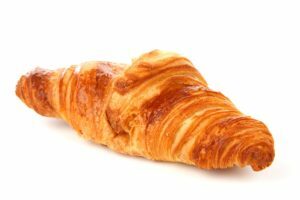 French pastries are famous, not just because they are lovely to look at, real creations by the masters, but they taste as good as they look. My recommendations are: éclair (chocolate, caramel, coffee flavored), millefeuille (like a Napoleon), Paris-Brest (a crispy pastry with cream filling, shaped like a bicycle wheel and named for the Paris-Brest bicycle race), Opéra (chocolate decadence), croissant au beurre (don’t get one that says “ordinaire”, which is not made with real butter.) In addition, the tiny tartlettes with raspberry (framboise), blueberry (myrtille), and lemon (citron) are lovely as well. If you’re adventurous, you can try the escargots au beurre (with butter, garlic, and parsley) as an appetizer. 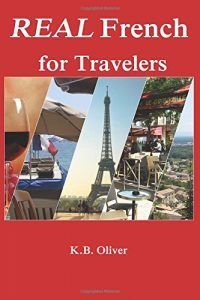 For more tips on finding good food in Paris, check out Magical Paris: Over 100 Things to do Across Paris. Find tips for picnics, markets, and more. France, France travel, French cheese, French food, French pastry, gourmet. Bookmark.